Sadly, I am home from my wonderful trip to Portugal. I arrived in lisbon after delays and lines and confusion and travel mess. When I finally got there I waited for Marta to meet me, so I walked around Lisbon for a whiel, and then I went to a cafe to relax. When Marta got there we went by train to Mealhada, the town where she lives. Unfortunately though, we missed the train stop, so we stopped in aveira where her friend Hugo picked us up and took us to her house. My whole travel time was about 35 hours long. I was pretty cranky to say the least. After a good night sleep the fun really began. A lot of my time there was spent meeting new people and Marta's awesome family. We went out almost everynight, and slept all day. We had a bunch of trips to the local beaches (which are nothing like the beaches here, and are incredible) and some trips to bordering towns and cities. I basically stayed up all night everynight I was there. 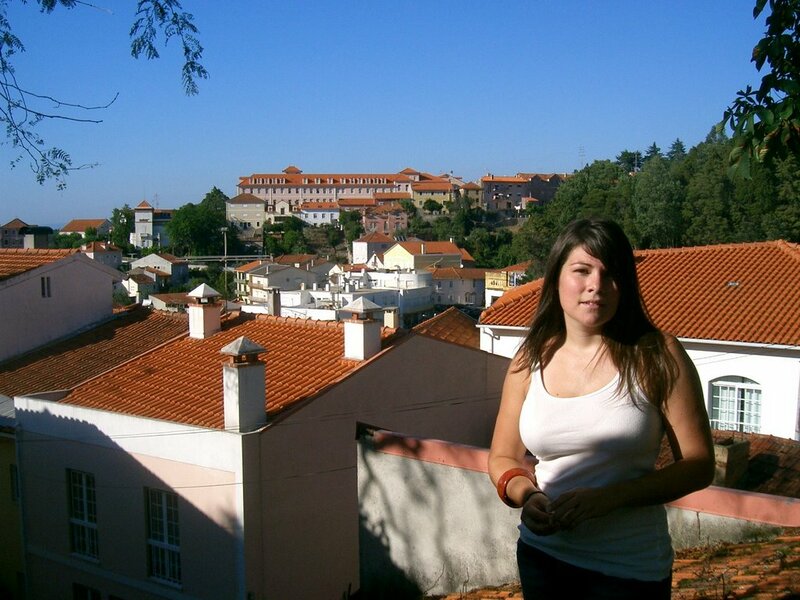 This is a picture of me at Luso, a town famous for it's sring and endless water supply.